Pulsing (aka strobing) a machine vision LED light is powerful technique that can beneficial to machine vision systems in various ways. This blog post outlines 5 benefits you will receive from pulsing a LED light head. 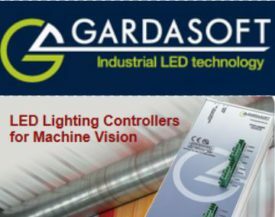 Gardasoft is an industry leader in strobe controllers capable of driving 3rd party LED light heads or custom LED banks for machine vision. 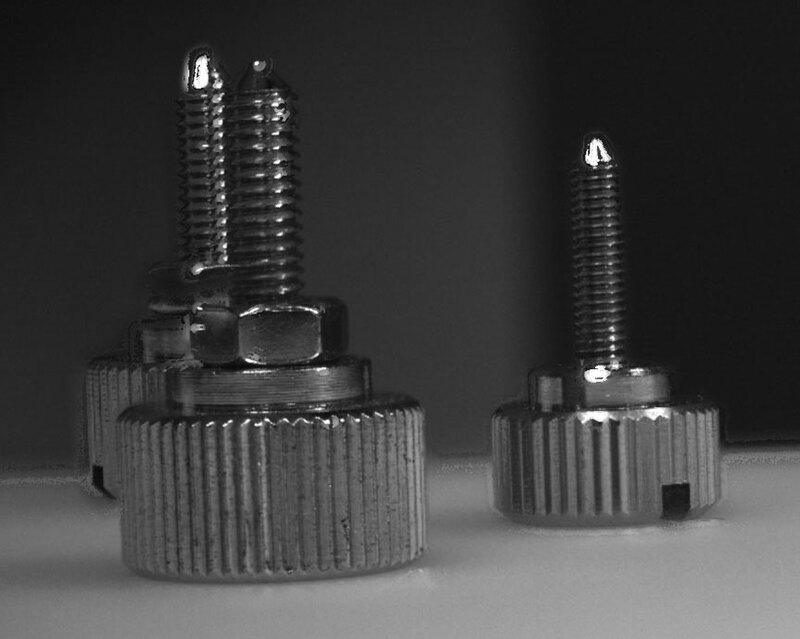 It is common to use pulsed light to “freeze” motion for high speed inspection. But, when the light is on only a short term in burst, its possible to increase the light output beyond the LED manufacturers specified maximum, using a technique called “Overdrive”. In many cases, the LED can be powered by 10X over the constant current power input in turn providing brighter pulses of light. When synchronized with the camera acquisition, a brighter scene is generated. Ambient light conditions frequently interfere with machine vision measurements and these issues can be solved by pulsing and over driving the system’s LEDs. For example, over driving the LED by 200% doubles the light intensity and enables the camera exposure to be halved, so reducing the effects of ambient light by a factor of 4. The end result is the cameras exposure is only utilizing light from the give LED source and NOT ambient light. Motion blur in images from fast-moving objects can be eliminated with appropriate pulsing of the light. 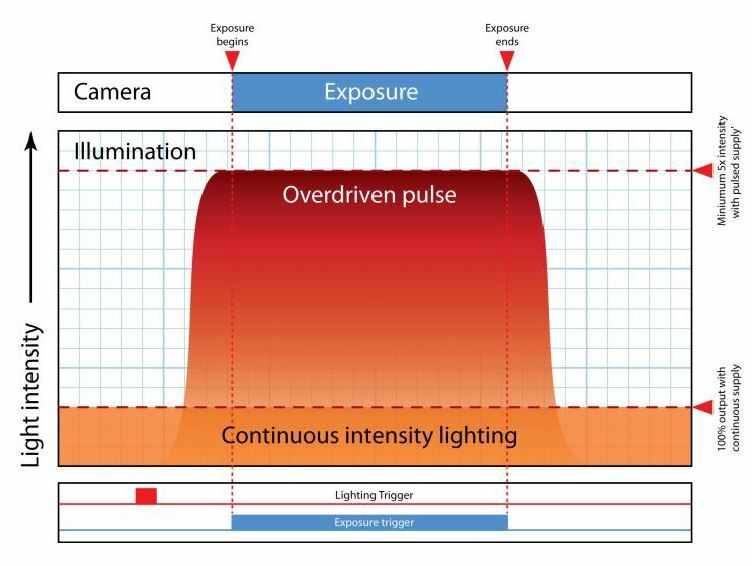 In some cases a defined camera exposure will be good enough to freeze motion (read our blog on calculating camera exposure), but may suffer in light intensity with constant illumination. “Over driving” a light can boost the output up to 10x its brightness rating in short pulses. 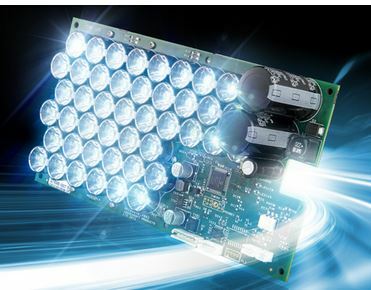 Increased brightness could allow the whole system to be run faster because of the reduced exposure times. Higher light output may also allow the aperture to be reduced to give better depth of field. Gardasoft controllers include our patented SafePower™ and SafeSense™ technology which prevents over driving from damaging the light. Lighting controllers can be used to reduce the number of camera stations. Several lights are set up at a single camera station and pulsed at different intensities and duration’s in a predefined sequence. Each different lighting can highlight particular features in the image. 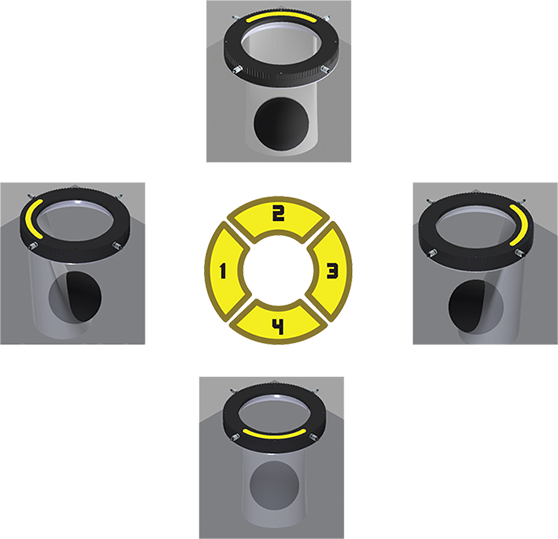 Multiple measurements can be made at a single camera station instead of needing multiple stations and reduces, mechanical complexity saving money. For example, sequentially triggering 3 different types of lighting could allow a single camera to acquire specific images for bar code reading, surface defect inspection and a dimensional check in rapid succession. Pulsed multiple lighting schemes can also benefit line scan imaging by using different illumination sources to capture alternate lines. 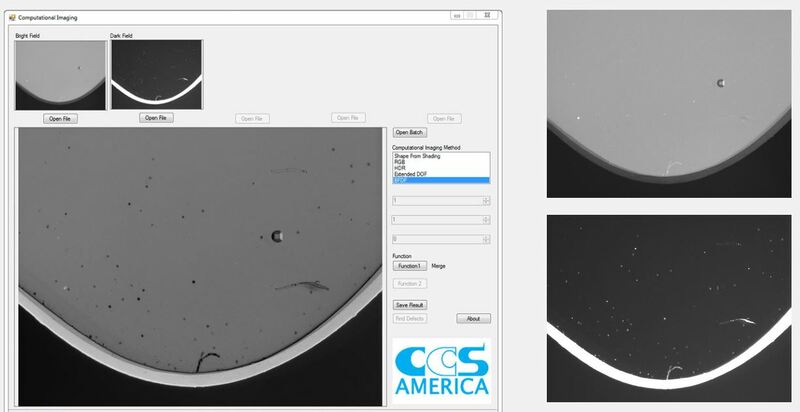 Individual images for each illumination source are then easily extracted using image processing software. In conclusion, strobe controllers can provide many benefits and save money in an overall setup more than the cost of a controller! 1st Vision has additional white papers on the following. Contact us an ask for any one of these informative white papers – Simply send an email and ask for 1 or all of the white papers. 4 – Liquid Lens technology and controllers for machine vision. Next PostNext Dalsa Nano M2450 polarized camera: Resolving defects that are undetectable with traditional imaging!